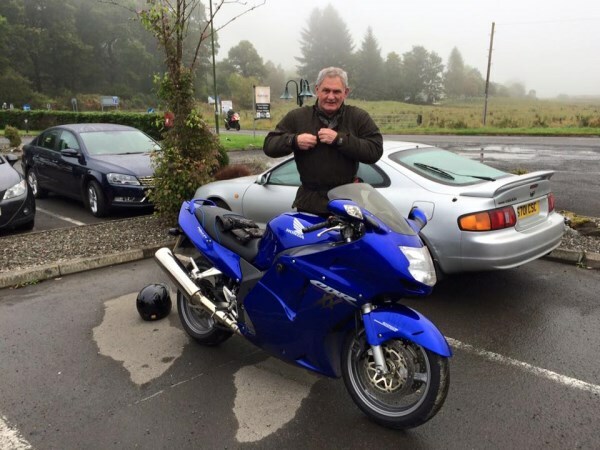 "Hopefully you will never be in the position whereby you are involved in a road traffic collision and require the services of Motorcycle Law Scotland, but if circumstances dictate that you require legal representation, I cannot recommend Brenda Mitchell of MLS highly enough. In March 2016, an out of control car crossed the road carriageway at speed and was in collision with yours truly on his Pan. A few days later, Brenda of MLS visited me in hospital. I could see she was impressed!! There was me, plastered arms, legs akimbo, oxygen mask, tubes here and there and also sporting the dreaded catheter!!! From that day, Brenda looked after my interests in a professional and efficient manner that was surely second to none. Any assistance from professional bodies that would assist in my home recovery was catered for; private physiotherapy, multiple appointments with private hospital consultants.Every box was ticked by Brenda. Since that time, Brenda has of course also pushed for a fair and suitable settlement. I’m pleased to report that we are now at the end of that process and that Brenda has negotiated a figure that we are both delighted with. Of course, physically and in other ways, I wish I was back in early March 2016, but given what occurred I am very lucky, not least by having my interests looked after by MLS. All the very best for your future riding career, be as safe as you can, but literally we never know what’s around the corner!! If the need should arise then MLS is the place to call."